No sensible person can resist taco and beer night. 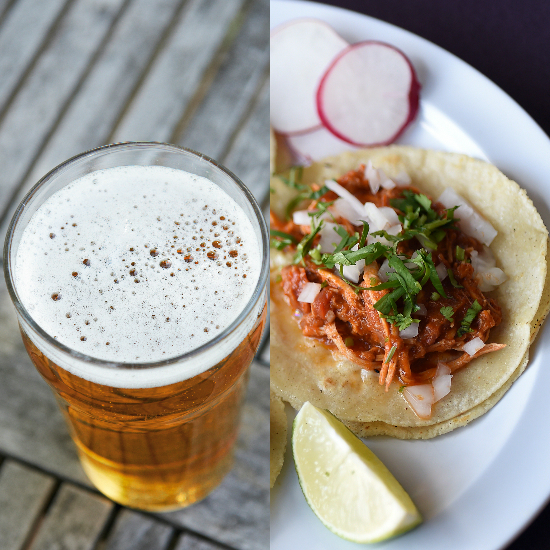 But if I told you the beer tasted like a taco, you might want a second to think the offer over – even if it was your favorite “al pastor” variety. Beers that are supposed to have similarities to tacos are not unheard of – with well over 4,000 breweries in the US, pretty much every ridiculous beer idea has been tried at this point – but the appropriately-named Ale Pastor from Austin’s Last Stand Brewing appears to take the mashup of beer and taco to new culinary heights. Attempting to recreate more than your standard Taco Bell offering, this brew is intended to boast some of the sweet and spicy traits of an actual al pastor taco – pork, pineapples, dried chilies and other spices. Getting the proper flavors down was reportedly no easy task. The brew was made in collaboration with FBR Management, a team that works with about ten area bars and restaurants. Over 35 people from that group “helped create the flavor profiles at the brewery,” said Max Moreland, a partner in FBR, according to Austin360. The brewery said that process included using Simcoe hops to hopefully give the beer some of the citrus notes you’d typically find in a pineapple-enhanced al pastor taco. Still, whether the project worked or not is still up to your own taste buds. If you want to give Ale Pastor a try, the limited-release beer will be pouring starting today exclusively at FBR Management’s bars in the Austin, Texas area. Whether you love it or hate it, think they nailed it or completely missed the mark, the good news is a portion of the proceeds will go to support Movember’s mission of prostate research. Killing two birds with one stone has never been this charitable. But though the beer may taste like a taco, for your own good, you may want to accompany these brews with some food, lest you consume them in the same quantities you'd eat actual tacos and end up tequila-level drunk.